With no bat-signal in sight, a flood of costumes, capes and tights converged on Manhattan's West Side Friday afternoon for the start of The 5th-annual New York Comic Con. 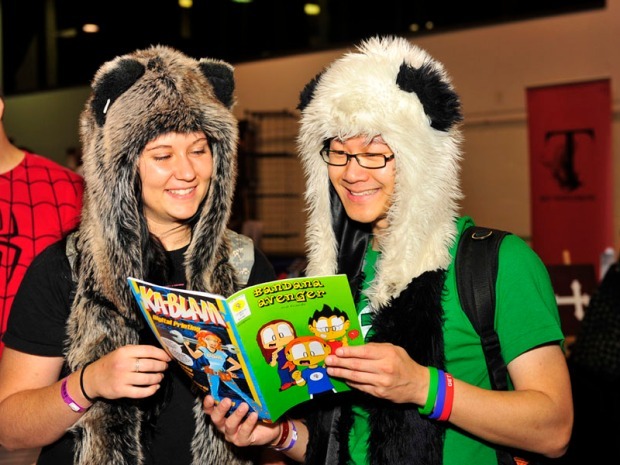 Aside from the dressed-up comic book faithful, Comic Con plays host to a number of comic artists, writers and vendors, as well as various film, television and video game studios lookin to show off their latest projects to the throng of assembled fans. If you still need to pull your Superman or Captain America costume from the mothballs, don't fret: Comic-Con will continue all weekend at the Javits Center. Roughly 77,000 people attended last year's convention. Organizers are expecting to top it this year. If you're going, make sure to share your pictures with tips@nbcnewyork.com.